We sat down with GM's small block chief at Detroit and talked V8s. Despite all of the buzz regarding autonomous, hybrid and all-electric technologies at this year’s Detroit Auto Show, older and long proven tech isn’t going away anytime soon. Take GM’s iconic small block V8, for example. Speaking at Detroit with Jordan Lee, Global Chief Engineer for small block engines, we learned that not only is there still huge demand for the latest fifth generation of small block, but that GM can’t build them fast enough. Lee also told us that he’d stuff one under the hood of a Cruze if he was given the green light. According to Lee, a total of three production plants in separate countries are currently building small blocks for a grand total of one million units per year. 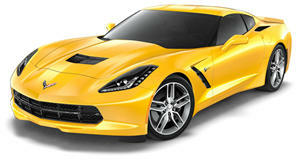 Remember, variations of the Gen V small block, such as the LT1, powers the Corvette Stingray and Camaro SS, while the LT4 does its duty in the Corvette Z06, Camaro ZL1, and Cadillac CTS-V. In addition, the EcoTec 3 5.3-liter small block is available under the hood of the Silverado/Sierra and Tahoe/Yukon. Point being, the 62 year evolution of the small block V8 will continue for the foreseeable future. But Lee’s love affair with the engine design is so strong that if it were up to him he’d "offer one in the Cruze." 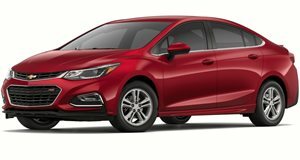 Naturally capturing our immediate attention with that remark, we inquired further as to whether a small block could even fit in a compact Cruze. "Probably not," Lee clarified with a smile and wink, but that "there’s typically always a workaround." That makes sense considering the small block benefits from a small, yet complex package and design. So what are the chances of a small block-powered Cruze ever happening? In reality, literally zero. Fortunately, guys like Jordan Lee and GM President of North America, Mark Reuss, are passionate car guys, so anything’s possible if a business case can be made. 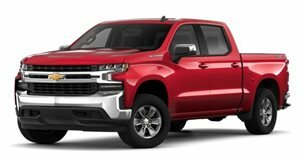 Chevrolet is bringing eight different grades and a new diesel to its all-new Silverado for truck lovers. Dirt road friendly, just stay off the freeway. The all-new all-American pickup is a mean offroader.